A selection of lubricants, suitable for protecting castors and machinery in every industry type. Heavy duty lubricant with a good resistance to water and temperature extremes. Contains rust and oxidation inhibitors. USDA approved for meat and poultry plants. The “no” silicone formula is harmless to plastic, rubber and most materials. 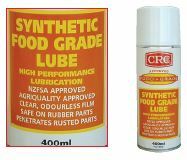 Ideal for lubricating equipment directly exposed to food. Odourless, tasteless and non toxic. AgriQuality approved for food, beverage & dairy factories. 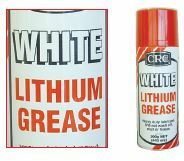 Lubricates, waterproofs and protects mechanical & electrical components. Odourless, colourless and non staining. 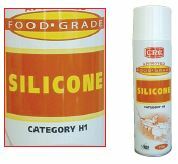 NSF Registered, Category H1 for use in meat & poultry plants.